The Northeast Georgia Regional Library System has its headquarters in Clarkesville and works with six affiliated libraries in Habersham, Rabun, Stephens, and White Counties. The four counties cover a geographical area of approximately 1,067 square miles. The Clarkesville Library was started in 1928 and was the regional headquarters until 2009. 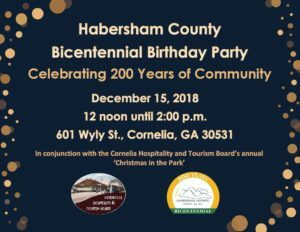 The two Habersham County Libraries (Clarkesville and Cornelia) joined with the Stephens County Library Program, with the exception of Toccoa, to form the Habersham-Stephens Regional Library System on July 15, 1944. On Dec. 19, 1951, White County joined the system, and the name was changed to the Northeast Georgia Regional Library System. On Aug. 14, 1956, Rabun County joined, and on July 1, 1966 the City of Toccoa joined, completing the system as it exists today. The first system librarian was Byrd Ivester, who served from 1944-1963 during the region’s organizational period. Kathryn Sovey served as Acting Librarian from 1963-1965. Elizabeth Rountree was appointed Director in 1965. During her tenure, the system achieved its final organizational structure and new libraries were built in Clarkesville and Cornelia. Emily Anthony became the Regional Director in 1972. Ms. Anthony was instrumental in building new libraries in Clayton, Cornelia, and Cleveland and started a major renovation/addition project in Toccoa. In addition, she established a major genealogy collection at the library in Clarkesville. On her retirement in 1988, Emerson Murphy was appointed as Regional Director. During his tenure, the library system was automated; in addition, building projects were completed in Helen, Clayton, and Clarkesville. On July 1, 2014, Delana Knight assumed the Regional Director’s position.